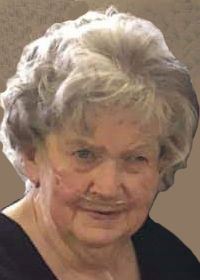 Janet M. Paul, 79, of Theresa, passed away on Tuesday, January 22, 2019, at Hope Health & Rehab in Lomira. Janet was born on January 9, 1940, the daughter of the late Leo and Mary (Schultz) Rassel, and on May 30, 1959, she was united in marriage to the late Jesse Paul at St. Joseph’s Church in Cudahy. Janet graduated from Cudahy High School in 1958. She liked gardening, reading and ceramics. Janet worked at Bakers Canning Factory in Theresa, the Dinner Bell in Wayne, and Hope Health & Rehab in Lomira. Those Janet leaves behind to cherish her memory include her three children, Jim (Jennifer) Paul of Ellington, Connecticut, John Paul of Theresa and Joan (Dave) Bonack of Theresa; four grandchildren, Jesse, Joanna and Jack Paul all of Ellington, Connecticut and Jared Bonack of Theresa; and a sister-in-law, Barbara Rassel of Milwaukee. In addition to her parents, Janet was preceded in death by her husband, Jesse; her son, Joe Paul; her brother, Lawrence Rassel and her two sisters-in-law, Barbara Paul and Judy (Louis) Lehnhausen. Mass of Christian Burial for Janet will be held at 1:00 p.m. on Tuesday, January 29, 2019, at St. Theresa Catholic Church in Theresa. Rev. Tom Biersack will officiate and burial will follow in the parish cemetery. Janet’s family will greet relatives and friends at Church on Tuesday from 10:00 a.m. until the time of Mass. Janet’s family extends their heartfelt appreciation to the staff at Hope Health & Rehab and Agnesian Hospice for the loving care they provided. The Myrhum Patten Miller & Kietzer Funeral Home of Lomira has been entrusted with Janet’s arrangements. Additional information and guest book may be found at www.myrhum-patten.com.